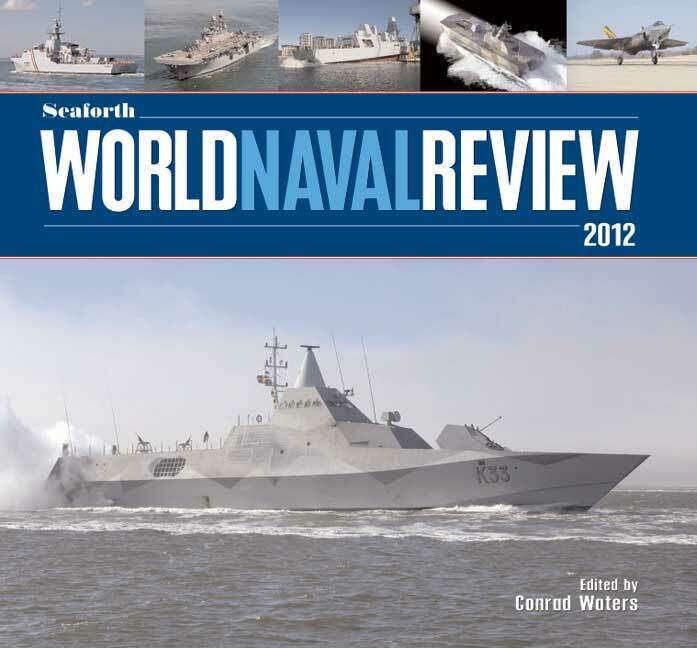 You'll be £30.00 closer to your next £10.00 credit when you purchase Seaforth World Naval Review 2012. What's this? This year special features include in-depth studies of the navies of Brazil, Australia and Pakistan, plus analyses of three significant new warship classes: the USN's advanced amphibious warfare ship Makin Island (LHD-8): Sweden's futuristic Visby class stealth corvettes; and the BAE Systems offshore patrol vessels. nine specialists in their field have written this annual under the editorship of Conrad Waters, providing solid assurance as to the accuracy of the work. Illustration is by crisp drawings and photographs, full colour being used where available and appropriate. The book is written at a time of challenge and excitement. The contributors have risen to the challenge and the book is informative and incisive. The review is gaining in reputation with an expanding readership. The book is beautifully laid out to Seaforth's traditional high standard. It has many data tables abd clear summary boxes, and is superbly illustrated throughout. In summary this book is a must for those wishing to keep up with world naval affairs. This annually published book has established itself as an authoritative but affordable summary of all that has happened in the naval world in the previous 12 months. An annual that has quickly established itself as a firm favourite and satisfying investment. This book contains three sections, World Fleet Reviews, Significant Ships and Technological Reviews. With contributions from seven top international experts, together covering all aspects of ships, weapons and aircraft designs and technology, this book has to be second to none on all naval subjects. It is well put together, easy to read with brilliant sharp photographs. Overall, it is excellent and recommended.